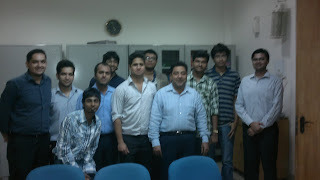 Department of Management Studies, IIT Roorkee launched its very first Intra IIT Business Quiz on 27th September 2011. 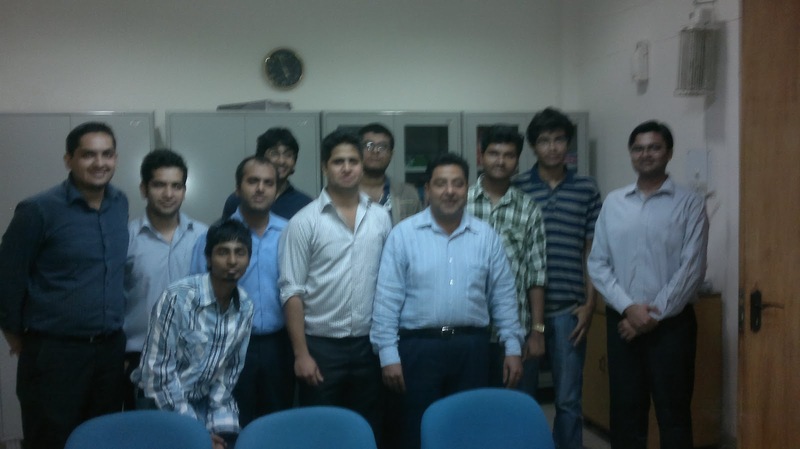 The initiative was taken by Aditya Aghi (MBA-2013 Batch). QUENCHERS-11 was a huge success with more than 250 students participating from all over the campus from different streams of UG/PG Programmes. The event was organized by the V-TEAM of Department of Management Studies. It started with a preliminary round where a team of 3 members each were allowed to participate. More than 80 teams participated in the prelims and among those teams Top 6 were selected for the Grand Finale based on their score out of 50 for 25 questions. Grand Finale was held on the same day where top 6 teams were on stage for the fierce battle. The Grand Finale comprised 3 rounds which included video clippings, advertisements, picture identifications etc and the cumulative score at the end of 3rd round eventually decided the winners. The winning team was awarded with a cash prize of Rs.1500 and certificates, while Runners up team received cash prize of Rs.1000 and certificates from our Faculty Adviser, Dr. Zillur Rahman of Department of Management Studies. Aditya Aghi, Prateek Tomar, Ravi Gandhi, Abhishek Anand, Himanshu Sirohi, Pankaj Malhotra, Devanshu Singhal, Ravikant Yadav, Dharmendra Kumar, Pankaj Singh, Pawan Kumar Sista. The Winning Team with Dr. Zillur Rahman and the V-Team. Excellent news to someone like me who can't afford grass fed beef. Thanks for the post!